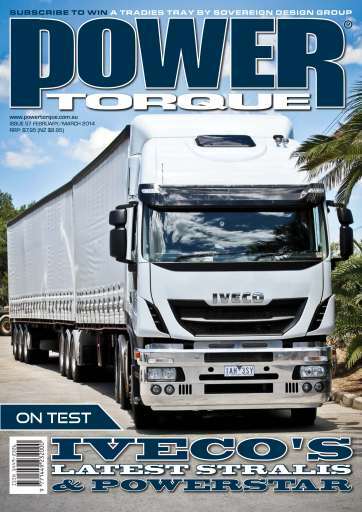 A stunning 10 x 4 Kenworth K200 recovery unit from Adelaide-based Truckworks starts the February issue and sets the scene for our drive evaluations of the new Iveco Stralis, the upgraded Iveco Powerstar and Kenworth's T909. We look in depth at how UD Trucks, Scania and Iveco are reshaping their companies for higher sales in 2014 and we showcase two new engines from Cummns. Lovers of Peterbilt will really enjoy our review of McNaught's latest prime mover and if you long for cool nights then check out our feature on leading HVAC supplier Custom Air. Hyundai previews its own heavy-duty prime mover in our Tokyo Motor Show feature and we talk to exhibitors at Castlemaine Show. 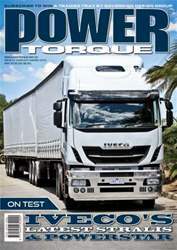 Check out the final results of the toughest truck race of all, the DAKAR 2014 and see what's new in our special Trailer Torque supplement.